Next time you're in the Caribbean, go with NÜ Car Rentals. Car rental in Puerto Rico is easy, cheap, and hassle free with NÜ Car Rentals. Our Puerto Rico rental car will get you to the many beaches, restaurants, bars, and cultural attractions that Puerto Rico has to offer. Drive your Jan Juan rental car through the Historic District of Old San Juan. There's nothing like it in the Caribbean. Partially enclosed by old walls dating from the 17th century, Old San Juan was designated a U.S. National Historic Zone in 1950. Visit Castillo de San Felipe del Morro (Old San Juan). 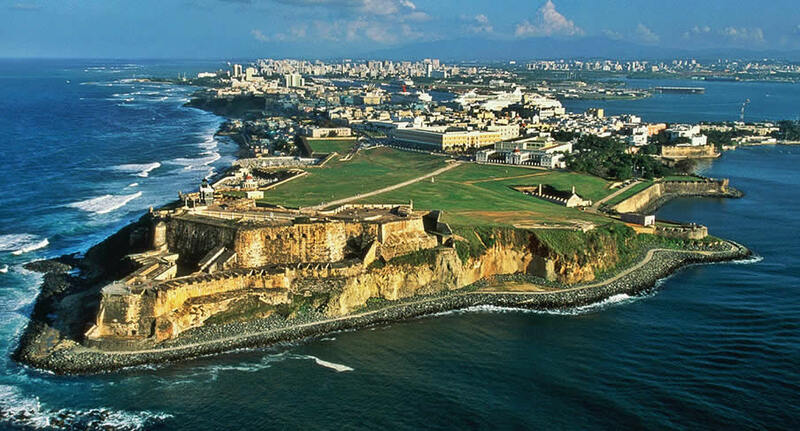 In Old San Juan and nicknamed El Morro, this fort was originally built in 1540. It guards the bay from a rocky promontory on the northwestern tip of the old city. Rich in history and legend, the site covers enough territory to accommodate a 9-hole golf course. Looking for a car rental in Puerto Rico? NÜ Car Rentals has it. Puerto Rico is about 100 miles long and 35 miles wide, so its most distant points are only a three-hour drive apart. Get a San Juan Puerto Rico car rental and see all the sites, from beautiful beaches to rugged mountain ranges. Make your dream vacation complete today with a Puerto Rico car rental from NÜ Car Rentals, and hit the road!